Adaptable fitting kit to mount Fiamma F45 awning to Vamoose Combi Rail and a variety of other moulded awning rails including Reimo Multi-Rail and Brandrup Top-Rail. 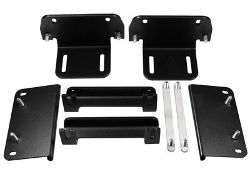 Kit consists of 2 x black powder coated brackets with all required fixings and general instructions. 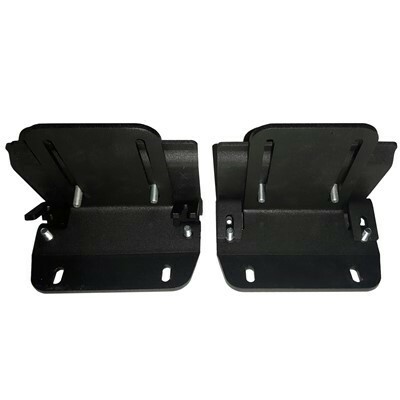 Combi Rail kit adjusts for awning height and angle so you can raise the bracket / awning to give better clearance above your sliding door, and adjust the angle of the bracket to match the angle of your awning rail. This kit fits around the moulded awning rail and is secured to the van roof with Rivnuts. this requires drilling the van roof. 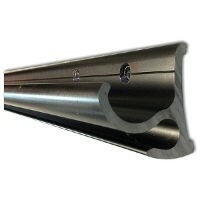 Rivnuts are provided with the fitting kit.